Protecting database from any issue and corruption is most important task of database administrator. DBA is one kind of database protector from hacking, problems and bugs. Good DBA always works proactive for eliminating future issues. Due to this reason, all database operations are running smoothly. Thus, demand of skillful database administrator is very high noawadays in global world. We are leading service provider for Oracle Databases for clients from various industries. Some of our exclusive services are mentioned following. Oracle Support and Database related services are offered to the clients for running smooth operations within the organization. 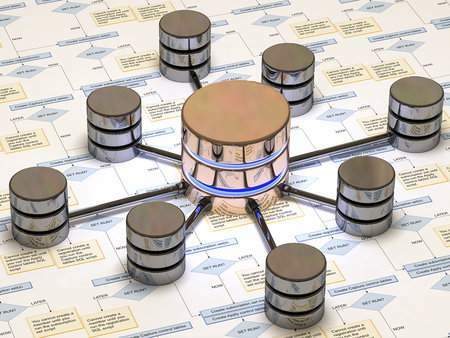 It is not so easy to manage multiple versions of databases on various platform round the clock. We have proper team management for achieving this goal and every database administration tasks are being monitored by expert remote dba team with seniors. Special auditing team is also working round the clock for auditing and maintaining documents for future time elimination. Dbametrix offers strong response time for fixing every issues and accurate SLA maintained during remote dba services for every client. Our senior management always monitors proper delivery for every remote dba work. Here are short list of database activities is maintained in our remote database support services. New database set-up and configuration. Set-up and installation of backup and recovery software. Installation of Oracle Real Application Cluster database. Installation of the Multi-Threaded/Shared Server. Installing the language pre-compilers (Cobol, C). Creation of Oracle Standby Database/Data Guard and Failover Databases. Creating new databases as per application team requirements. Implementation of Oracle Partition Feature. Implementation of Real Application Testing. Automation of daily tasks and house keeping. Implementation of Automatic Shared memory structure. Implementation of Partition Table Feature with Parallel concept. Deployment of Oracle Audit Vault. Deployment of Oracle Secure Backup. Deployment and Maintenance of RMAN. Deployment of multi tenant databases. Deployment of Report Database and Cloning. Deployment of Oracle Automatic Storage Management. Advance Database performance tuning, Oracle tuning, Memory tuning, Disk I/O tuning. Oracle database health checkup for performing Proactive database maintenance. Database partial and full re-organization for boosting performance. Managing user security and auditing of database. Removing object level, tablespace level fragmentation. Recover and removing Database Corruption and Recover Database in Critical and Disaster failure. Professional, Certified, Trained and high experienced DBA Team! Monitored and audited by Seniors. Absolutely cost effective solution. You don't need to proceed costly hiring emplyoee based tradition. Our teams are working 24x7x365 round the clock. Every team is being monitored by level 1 Oracle DBA. We provide proactive DBA tasks. Every issue will be addressed quickly and resolved instantly. Sharing and balancing load and disk IO. Basic UNIX support for AIX, HP/UX, Solaris, Linux. Upgradation and Patching of Oracle Databases. Oracle Disk architecture and Disk load balancing. Resolutions for ORA and RMAN errors. Monitoring database for pro active action. Data Guard and Standby Database Synchronization. Maximum output from existing software and hardware. We understand that it is important to keep the database in fully synchronized and we also offer monitoring and maintenance services to our clients. Some of our services are elaborated above. Our expert remote dba team offers excellent proactive database maintenance for future forecasting of serious and mysterious errors, corruption issues as well as database growth for managing disk management. Kindly note this is only short list and real list will be long. Expert remote dba team of Dbametrix provides excellent remote Oracle database administration with low cost remote dba. Our teams have wonderful skill of performance tuning using smart computing, deployment of strong disaster recovery to provide ZERO data loss and quick issue resolution with minimum response time.